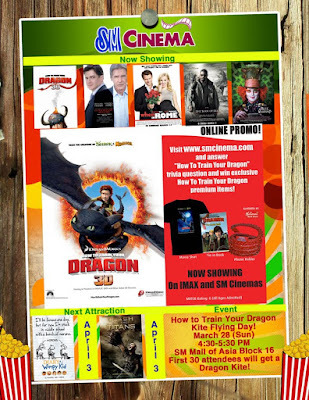 SM Cinema is holding an online promo at www.smcinema.com. All you need to do is to visit their website and answer "How to Train Your Dragon" trivia question/s and you can win "How to Train Your Dragon" premium items. The movies showing at SM Cinemas currently are How to Train Your Dragon (in 3D), The Book of Eli, Alice in Wonderland and When in Rome among others. You can watch them anytime, even after taking your adipex. 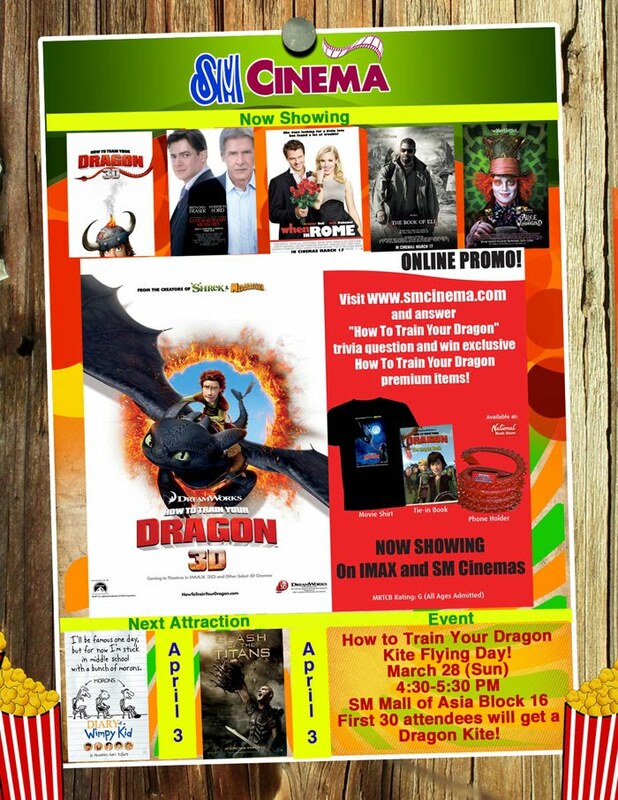 So, visit www.smcinema.com and avail of their promo.